A rendering of Lakeside Village viewed from east of the southern roundabout looking west toward Lake Grapevine. The Lakeside Village Team is hosting a “Meet the Team” gathering this month to give the community a chance to meet the developers working to execute the Lakeside Village vision. Located on the shores of Lake Grapevine, Lakeside Village is the remaining 40 acres located to the south of Lakeside DFW. 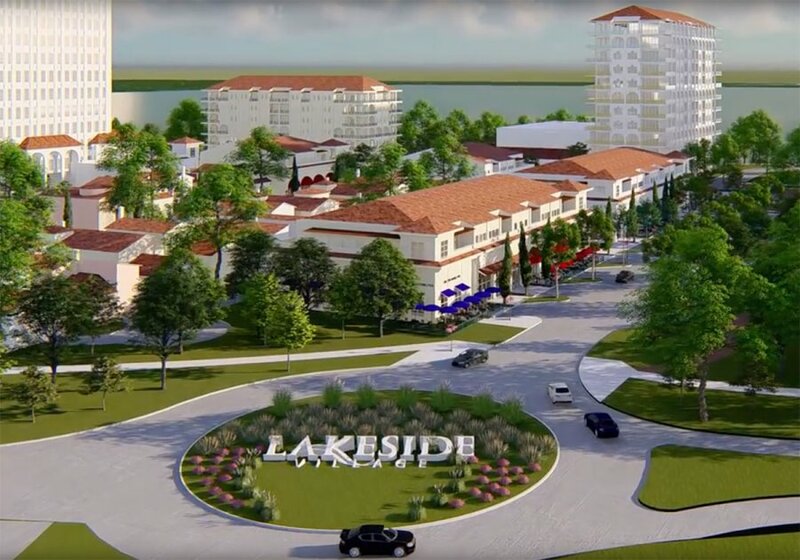 Lakeside Village will include restaurants with terraces overlooking the lake, public parks, shops, offices, hotels, upper story living with lake views and a boardwalk, according to a news release from Realty Capital Management. At build-out, Lakeside is planned for approximately 2,200 residences and 705,000 square feet of commercial space at a combined value of $1.5 billion. The “Meet the Team” event is scheduled for 11 a.m. to 2 p.m. on April 27 at Sunset Point in the Lakeside DFW community. Team members include Realty Capital Management (the Master Developer of Lakeside) ArchCo Residential (Residential Tower Developer), Gatehouse Capital (Hotel Developer), Van Trease Constructors (Custom Villa Home Builder), Larry Boerder Architects (Project Architect), G&A McAdams (Civil Engineer), Kevin Sloan Studio (Landscape Architect) and the Stewart Family (Land Owner).